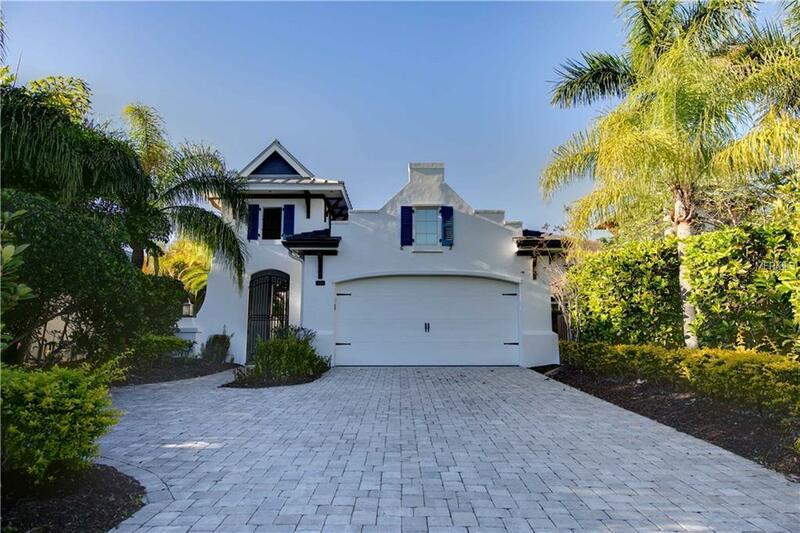 Stunning waterfront home located in the gated community of Bella Sole. Easy access to the Manatee River & the Gulf of Mexico! This newer construction shows like a model home & was featured in the Parade of Homes. 3 bedrooms, 2 1/2 baths plus den makes this an easy lifestyle to enjoy! Custom designer features include built-ins, plantation shutters, crown molding, architectural ceiling details throughout. The unique kitchen is a chef's delight with upgraded wood cabinets, under cabinet lighting, natural gas cooktop, granite, stainless appliances, & an oversized island. Secluded Master bedroom retreat includes two generous closets & a designer bath. Separate tub & shower and dual sinks. The living/great room & separate dining room are perfect for entertaining or relaxing for the evening. The screened heated pool & spa area looks like a tropical resort complete with outdoor kitchen, dining area, pool bath & outdoor living room. The attached two car garage is air conditioned & heated. For boaters: a boat dock on the saltwater canal has 50 amp electric service, power pedestal & LED dock lighting. The covered boat lift is rated at 14,000 pounds for up to a 37 foot boat. Low HOA fees take care of the landscaping maintenance & no CDD fees. Freshly painted inside & out. No detail has been overlooked in this well maintained exceptional home. Seeing is believing this incredible example of waterfront living at its best & you won't be disappointed! NEW: See the 3D Matterport virtual tour and aerial photos!